Yesterday I posted an article about how researchers in the UK found that your IP addresses are beeing monitored by copyright protection agencies within three hours of downloading a torrent. Pretty scary right? I mean, you might be downloading something legal like Bauer-Puntu Linux and there you are logged and branded as a criminal! There are a couple of tools you can use to stop that, or at least minimize it, and both are free! 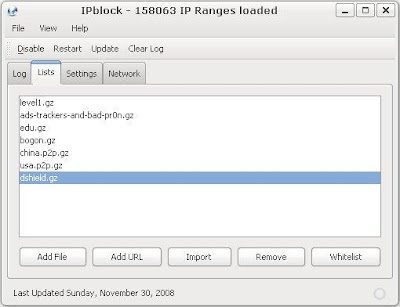 Both of these tools are what are known as IP blockers. Basically what they do is keep a list of known anti-piracy or anti-P2P group IP addresses. These lists are also referred to as blacklists. 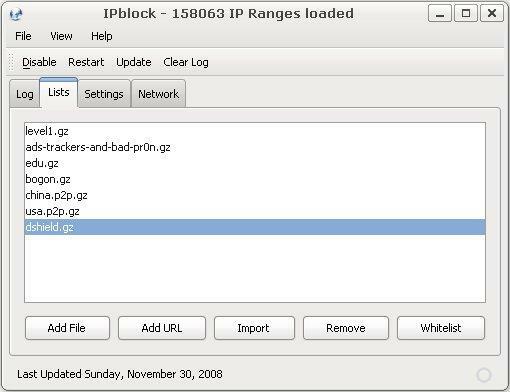 Many times this also includes lists of known government agencies, and these tools keep your computer from communicating with any of the IP's on these block lists. Simple right? 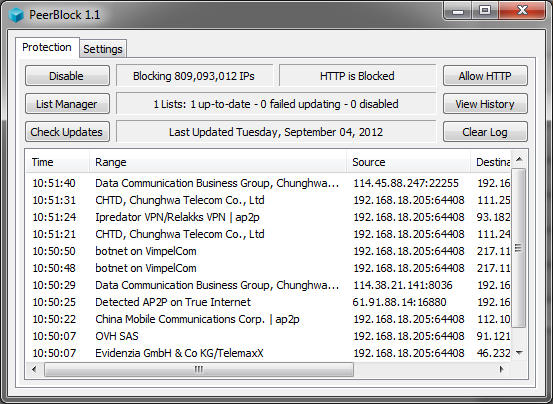 iplist is a Linux application for blocking connections to and from a specified range of hosts using the netfilter netlink-queue library. 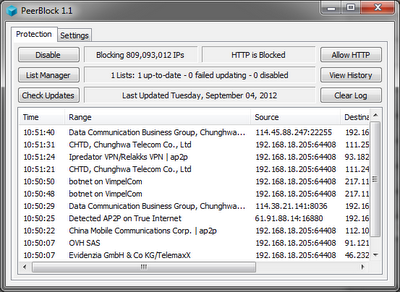 Iplist is an open source IP filtering program similar to PeerGuardian for Linux. A user without any knowledge of blocklists, will almost certainly be tracked by blocklisted IPs. We found that all our clients exchanged data with blocklisted IPs. In fact, of all distinct IPs contacted by any client, 12-17% were found to be listed on blocklists. Avoiding just the top 5 blocklisted IPs reduces the chance of being tracked to about 1%. Both of the groups producing these blacklist programs say that their programs aren't 100% effective, however using these are better than not using them at all. Kind of like a condom right? A condom is 99.9% effective against an STD. Just because it's not 100% effective doesn't mean you are not better off without it right? Do you know of any other ways to protect your BitTorrent activity online? 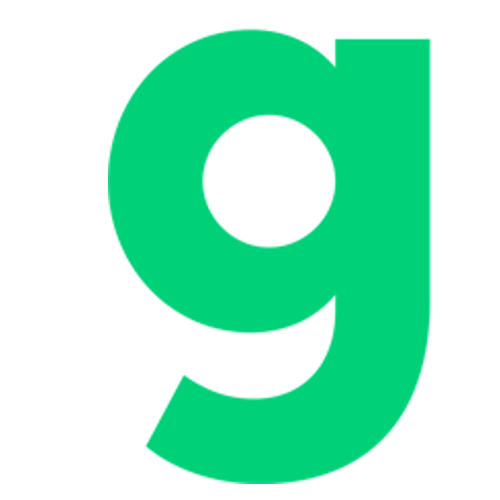 What tools or programs do you like to use? Let us know in the comments! How to protect your online (P2P) privacy? PeerBlock! Stephen Fry: "I Use Ubuntu"